On the 5th day, the Aquarist discovered GFO, and found that it was Good. 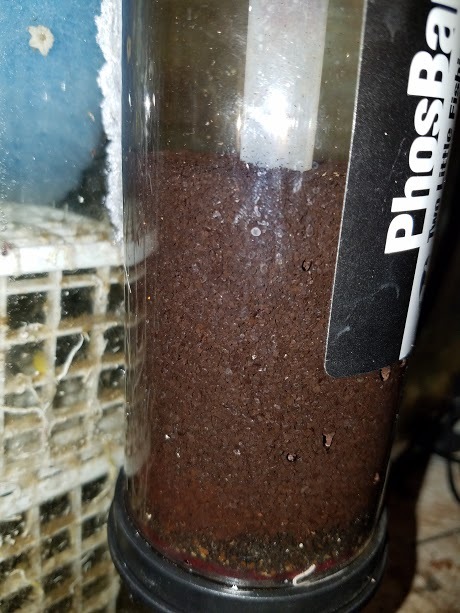 On the 6th day, however, the Aquarist discovered Aquamaxx Phosphate Out Pro…..and found that it was BETTER. 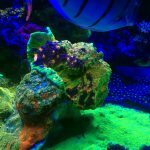 Like many reef enthusiasts, I run GFO in my aquarium to help with phosphate control. 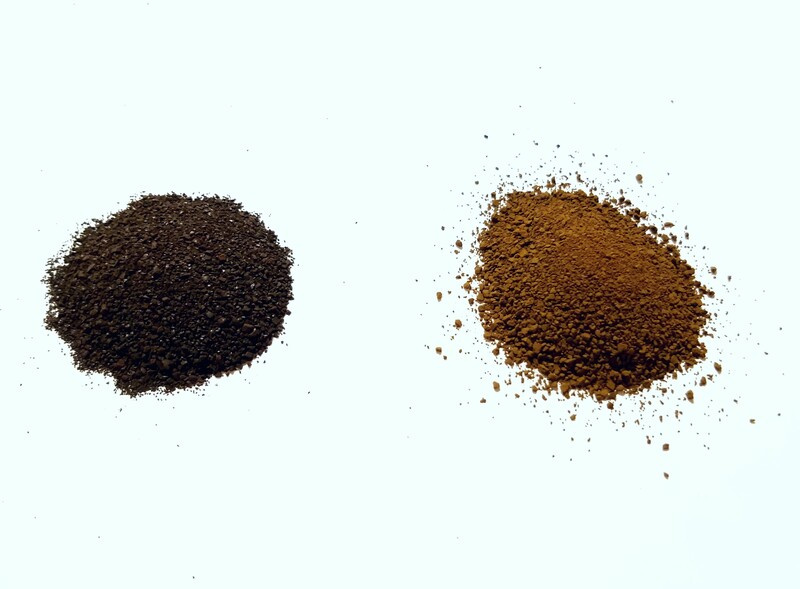 GFO, or Granular Ferric Oxide, primarily adsorbs reactive phosphorus components in the form of orthophosphates, along with silicates and some metals, and it does so in a relatively quick manner. Until recently, I was a staunch believer that “all GFO is created equally.” Boy was I wrong. Cheap GFO is something of a contradiction in terms. 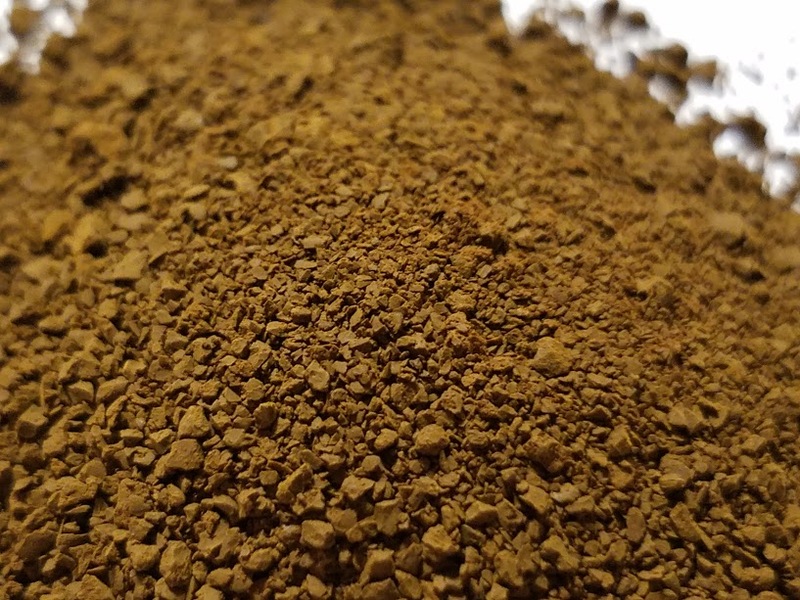 While the stuff works great, it’s not exactly a pennies-per-bag item, so like most of us I tend to always be on the lookout for a less-expensive version of GFO to fill my reactor with. You can usually find the “cheap” stuff on some of the massive online retail shops or auction sites, sometimes for less than $20 per pound. That’s the GFO I’ve been using for a while now. Trouble is, you have to replace it – a lot. 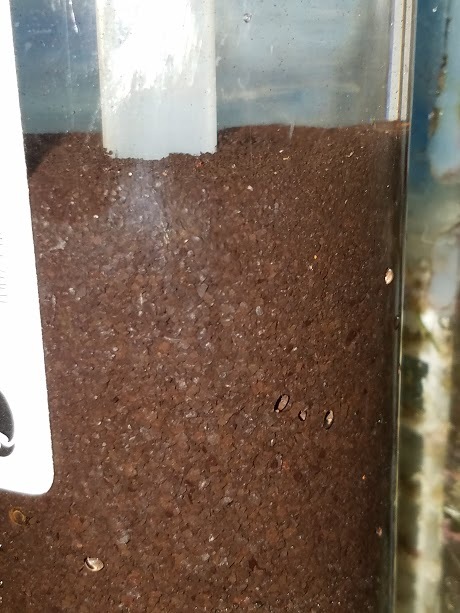 It tends to break down into ‘fines’ (read: iron dust) very quickly, which if you aren’t careful can make their way back into your tank. Also, it’s a pain to rinse, since so much of the bag seems to be dusty to begin with! 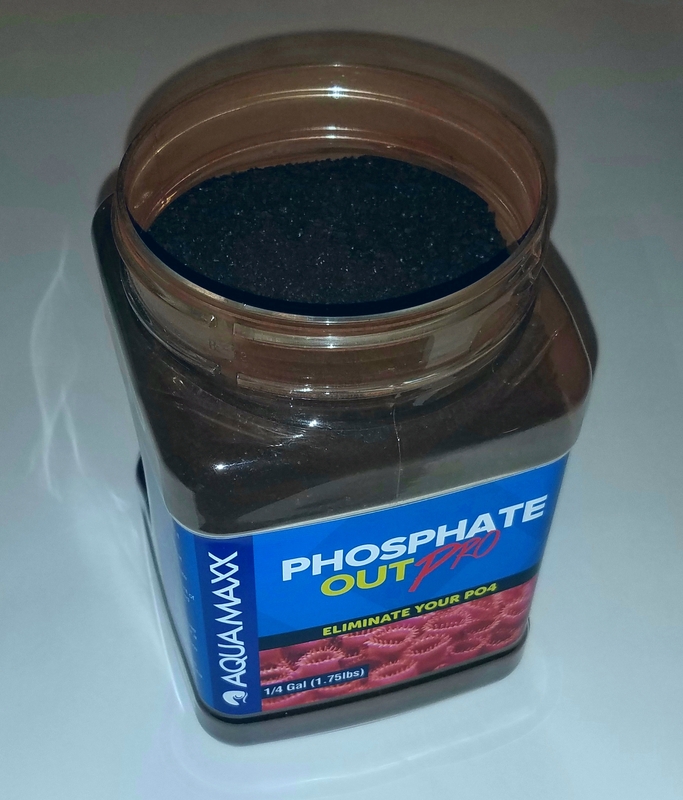 When I first found the Aquamaxx Phosphate Out Pro product, I scoffed. Forty bucks for GFO? No thank you! Then I looked closer at the product. Waaaait a minute – it’s $40, but it’s for 1.75 pounds. I’m paying roughly $20 per pound for the cheap stuff anyway, so that’s a measly three dollars per pound difference! Sticker shock gone, I decided to check this out after all……and now that I see it, I’m not going back to the old way. 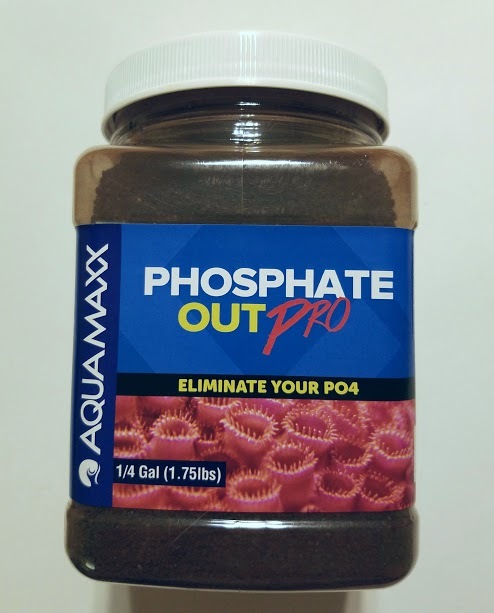 Let’s start with the obvious: Yes, the Aquamaxx Phosphate Out Pro is a GFO product, so we already know what it’s going to do. 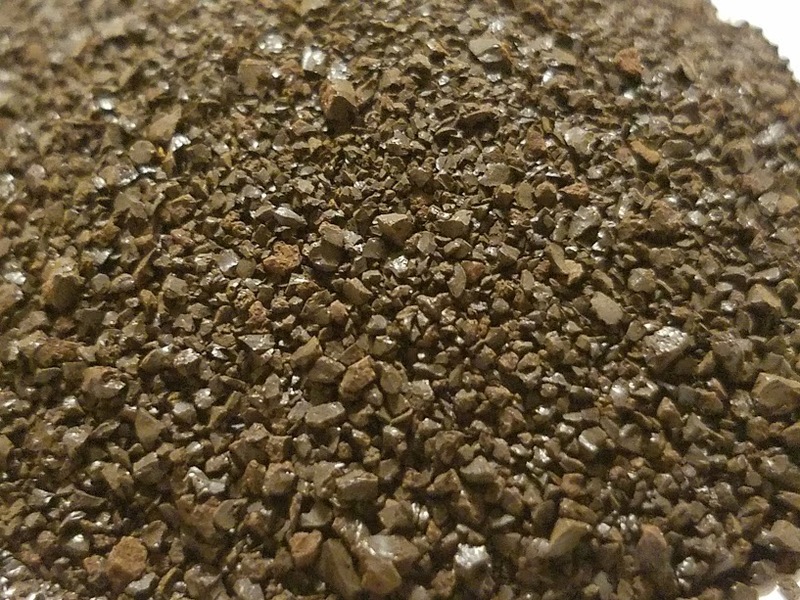 But here are the immediate differences I see when I use this product instead of the cheapie auction site stuff: First, notice the size and color of the granules. As soon as you open this up, you see large, dark, hard looking granules of GFO. The near-black color is a good indicator that it hasn’t already oxidized with the moisture in the air. 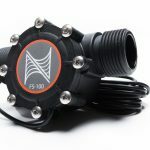 This is a great indicator of quality; it means you’re going to get more bang for your buck when you start using it to filter water. The next thing I notices was the texture. 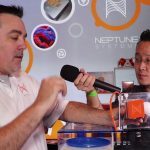 The Aquamaxx Pro product is HARD, and very sharp. Compared to the cheap stuff, which you can break down between fingers, I expect this is going to last a lot longer in a fluidized reactor. And let’s not forget dust – or in this case, lack thereof. 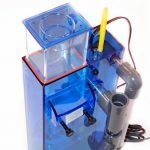 Of course there is a little dust and rinsing involved, but when I started filling my Two Little Fishies reactor with the recommended 1 cup of Aquamaxx Pro GFO, I immediately noticed how MUCH LESS rinsing there was to do with this product compared to the cheap stuff. 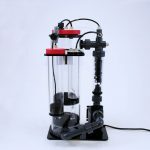 I’m used to rinsing the product in the reactor a few times, then running the outflow over filter floss for the first few days to catch the remainder. The Aquamaxx product just needed a single rinse and it was good to go. Take a look at the way this product tumbles. It doesn’t clog nearly as easily as the aftermarket product. I think that may be a result of its hardness; it’s much less prone to clumping and sticking. The Phosphate-out Pro is a higher capacity GFO that won’t need to be changed out as often. While the directions for the product are the same (1/2 cup per 50 gallons), this Pro product won’t need to be changed for 3 to 6 months, according to the package. Compare that to my usual GFO swapout every 30 to 60 days, and the savings for the better product really start to add up. Uploaded by novahobbies on 2017-06-16. Is that the correct amount of tumble for the Aquamaxx media??? What we typically tell hobbyists is that the top layer of GFO should be “simmering.” You do not want it to tumble or move too fast. Higher flow may turn the media into a fine dust which could potentially be released into your aquarium.